Following his attendance & win at the Image awards, Chadwick Boseman along with Ansel Elgort and Jessica Chastain, Katie Holmes & Helen Mirren attend the 2019 CinemaCon STXfilms Presentation at The Colosseum at Caesars Palace yesterday(April 2nd) in Las Vegas, Nevada. 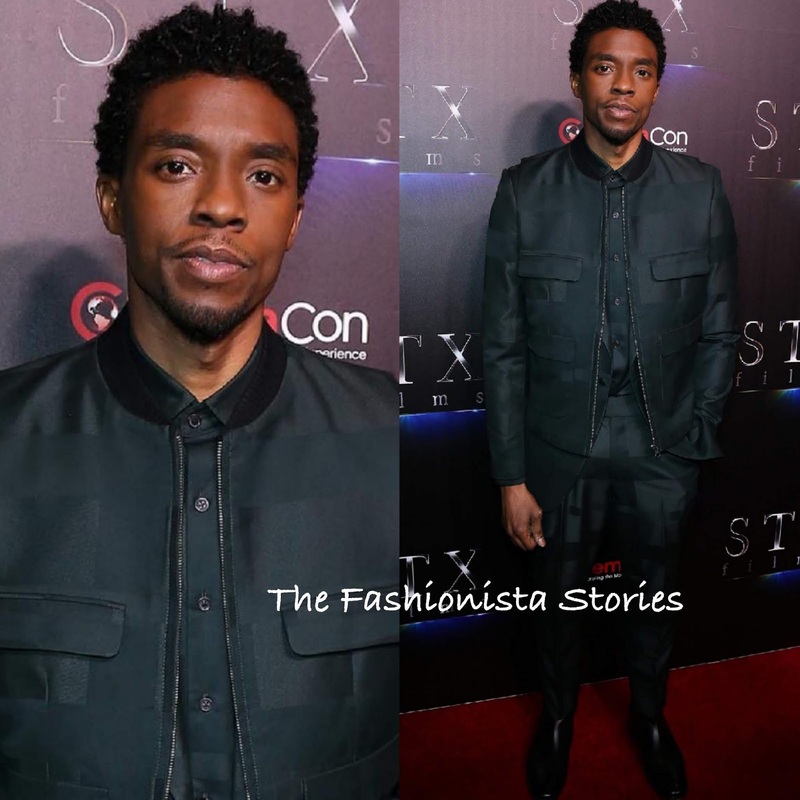 Chadwick Boseman who was on hand to discuss is upcoming film 21 Bridges, was sharply dressed in a DZOJCHEN black printed bomber jacket with the matching button down shirt and ankle length trousers. I love this look, head to toe. He rarely gets it wrong. 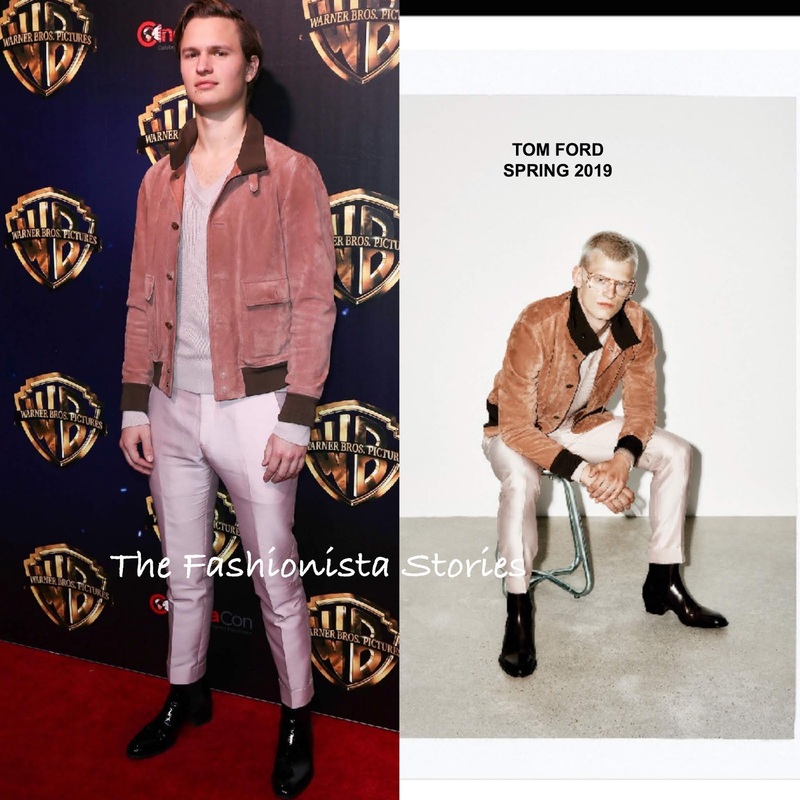 Ansel Elgort rocked a TOM FORD SPRING 2019 ensemble which featured a pink suede & brown bomber jacket, with a blush pink knit underneath, pink trousers and black shiny boots. He looks like her needs to go a size up in the pants but this is still a great look to me.